The Jerusalem Venture Partners (JVP) fund is Israel's leading venture capital fund and one of the most successful funds in the world, according to PeHub, an online forum for the private equity community, and JVP's reports, revealed for the first time by Calcalist. The global VC industry is one which prefers not to disclose its reports, mainly to avoid the watchful eye of the media in regards to the management fees the funds charge investors. 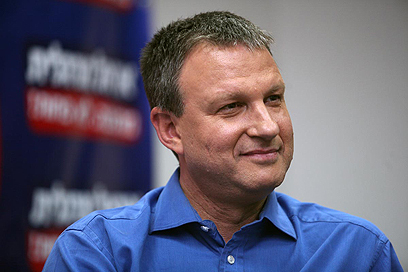 Calcalist has obtained the results of JVP, founded by Erel Margalit, who is currently running in the Labor Party's primary elections, and in which Gadi Tirosh and Kobi Rosengarten are partners. JVP manages $900 million in six different funds, five of which are VC funds and one, which was raised recently, that invests expansion money in JVP's companies. Additionally, JVP runs a media quarter on its Jerusalem campus and has just won the Ministry of Industry, Trade and Labor's technology incubator tender. The fund plans to establish an incubator with the Ben-Gurion University's technology transfer company. Last week, PeHub posted an analysis of the world's major VC funds based on a report by Preqin, which publishes data on the alternative asset industry. The report ranked the 10 funds which produced the best results over an extensive period of time in terms of investment multiplier and rate of return. The ranking analyzed 143 companies and 716 funds which comply with the criteria, and 10 were selected as the world's best, including JVP – the only Israeli fund on the list and one of the only two non-American funds. Other top 10 funds include Benchmark Capital, GGV and American Sequoia. Since 1993, companies in which JVP invested have posted exits at a total of about $17 billion. JVP founder and Chairman Erel Margalit said in response to Calcalist's report, "We deal with building-up companies over periods of years. When I first began, I preferred to make seed investments because I didn’t have the money and I also enjoyed it. The process of building up a company enables you to create a long-standing organizational culture. "I believe that in order to found good companies one needs patience. We make our money not from good companies but from good companies we help turn into excellent companies. "Israel has a lot of good investors and good funds that can discover new directions, and the country has many hungry entrepreneurs. We sought out those hungry entrepreneurs for our Beersheba initiative, and I suggest that other investors do the same. "When I ponder where I would like to put my money today, I can’t look back – only forward, and seek those new opportunities in our changing world that combine life sciences, education and technology," Margalit concluded. See all talkbacks "Israel's JVP among world's top 10 funds "